More discrete R2R Mulibit dacs. There are many now going to the trouble of doing discrete R2R Mulitbit now that the last/latest Burr Brown PCM1704 multibit chip is no longer available "rip". Here are some direct links to this amazing looking circuitry. So, all those discrete components combined replace one chip? kalaliSo, all those discrete components combined replace one chip? There's always the Analog Devices AD5791 that's used in the Schiit Yggdrasil. Granted, it's only 20 bit, but it's still a true R-2R ladder. And expensive at minimum $60 a pop. Yes the AD5791 is still available but it was never designed as an audio dac, I don’t know what the down sides are for this in audio use. I believe the last audio one was the PCM1704 and it was more like >$120, a Delta Sigma is like <$10. Medical instrumentation Test and measurement Industrial control High end scientific and aerospace instrumentation." I use an R2R in my dac but that is where the similarities end. It is like saying a preamp uses 6DJ8/6922 tubes but one company uses the Amperex tube brand. It comes down to the component design. My power supply weighs in at 30lbs and I use DHT design. So while the R2R may be better sounding, it still comes down to the design and implementation. If it was just the R2R, I could make a DAC for $500! There are plenty of good sounding DAC chips available such as the Sigma 32 bit for one. Speaking of R2R just picked up a 20 year old Audio Note Dac-3 Signature which uses a K grade BB PCM63 chip which is I believe R2R. It sounds utterly fantastic. 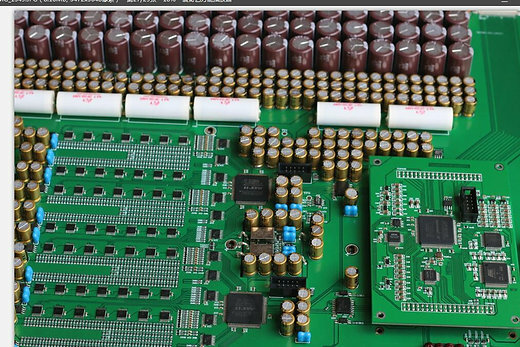 If you care to look/study and compare most dac chip manufacturer data sheets are adhered to for implementation, even some (hiend ones) using even the exact I/V stage and buffer stage that’s on those data sheets. "Some" (me, Audio Note above ) use different I/V and buffers, but as far as dac implementation itself they nearly all follow the data sheet protocols. But doing discrete with this topic that's another thing again. 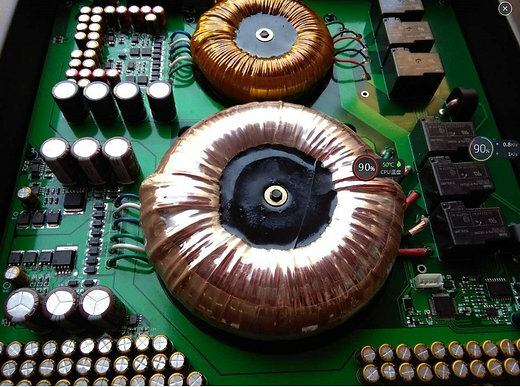 That Terminator DAC does look pretty serious! Thanks for sharing George... Are you going to pursue this one? I just ordered Ares for use with my TV. I`t will be interesting to see how it competes against my other digital. Never had discrete R2R before. This is a bit off topic, I don’t know how this works in the US, but in Australia I have a 55" Panasonic plasma (I don’t find led or o’led natural), and a Panasonic PVR. On one or the other can’t remember, in the setup menu both or one of them has two different digital (pcm or bitstream) for the digital out to choose from for the toslink, so I would say with this Multibit dac choose the pcm output, as that’s what they’re good at. Yes that`s exactly what I plan to do. PCM from TV to DAC via toslink. Interestingly I didn`t find OLED`s natural also and choose Philips 8 series instead. OLED`s seem too dark and artificial no matter what settings you choose. Plasma colors are much more real. I have Pioneer plasma myself in my apartment. George thanks but when I say implementation I am talking about the total design. The DHT DAC that I build has a 30lbs power supply. A little different than the typical DAC chip or R2R implementation. Tube rectification, tube rectifier, current limiting, etc. Most people think I am showing them a power amp when they see it. Tube Buffer: Full Music or Psvane 101D Direct Heated Tubes with point-to-point direct wiring, utilizing transformer coupling between digital and analog sections to isolate digital noise. Analog Power Supply: LC (double chokes and Clarity Polypropylene TC 600 capacitors) filtering with direct heated tube for high voltage regulation in shunt regulator configuration. 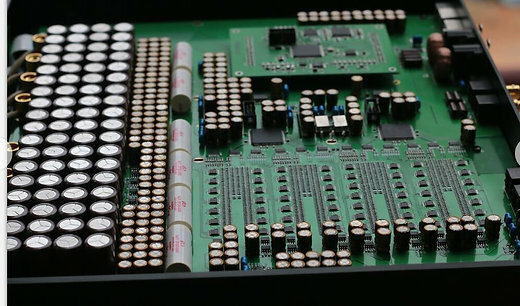 The DAC section and power supply section are in separate chassis. I think maybe you mean discrete circuits, because chips are for the big boy manufacturers to make Analogue Devices, Burr Brown, AKM, ESS ect. I picked up a Denafrips Ares after my USB-only Wavelength Brick was no longer enough for the TV and other devices that I wanted the best sound quality possible out of. I've been burning it in fully before trying any comparisons, but locally some guys have Yggys, a Holo Audio Spring Lvl 3, and some other DACs. Unlike the higher-end Denafrips DACs, the Ares does not have a non-oversampling mode (I mistakenly thought it did when I purchased it, though now I'm not bothered). At some point in the next month I'll try to get some organized comparisons of the DAC with others. I'm definitely enjoying it in my home system. That'll be good to hear about. The Analog Devices is a chip not descrete. Made 2010 or even earlier, some talk was it was made for the US military for the guidance system of some type of surface to to air missiles, never intended for Audio use. I think the one in the AMR DP777 R2R multibit Dac was from a similar use. This is not discrete, but still R2R Multibit OMG!!!!!!! So I guess people here will start to think more caps, more resistor the better it sounds?